All India Anna Dravida Munnetra Kazhagam (AIADMK) deputy general secretary T.T.V. 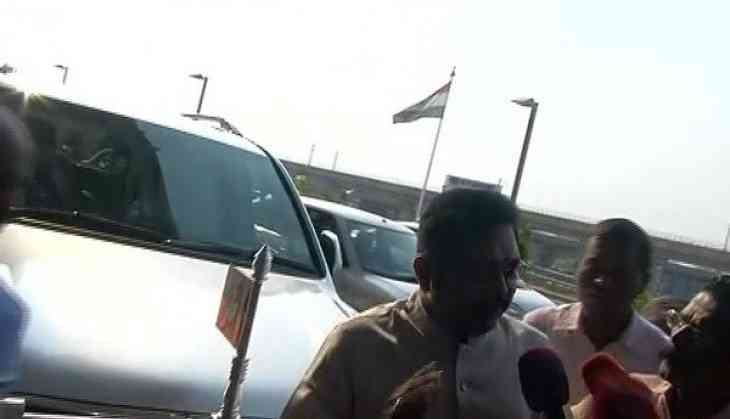 Dinakaran on Saturday will leave for Delhi to appear before the police in a case involving bribing of an Election Commission official to get the 'two-leaves' symbol for his faction. On 20 April, a team of the Delhi Police Crime Branch reached Chennai and served a notice, asking him to join the probe. The Delhi Police had issued a lookout notice against the leader on 11 April. The police had arrested and sent Sukesh Chandrashekhar to custody for allegedly striking a deal of Rs. 50 crore to help the Dinakaran faction to keep the 'two leaves' poll symbol. Chandrasekhar was arrested from the Hyatt hotel and was produced at the residence of Special Judge Poonam Chaudhry, who allowed the Delhi Police's plea to interrogate the accused for eight days.